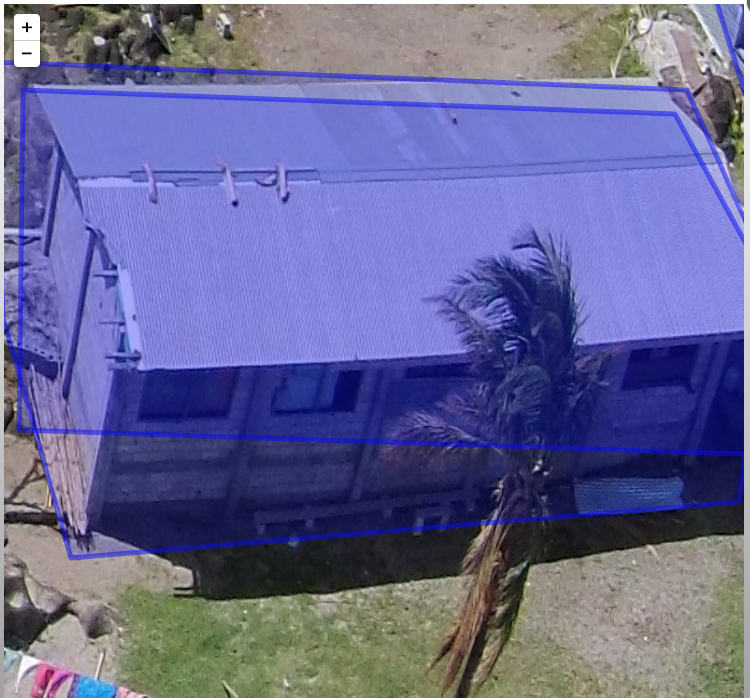 This entry was posted in Crowdsourcing, Drones/UAVs, Humanitarian Technologies and tagged 3D, Aerial, analysis, Imagery, Models, PointClouds, SketchFab. Bookmark the permalink. I am not a digital native but I am a former professional navigator of ships and aircraft and I am surprised that it is difficult to allocate a 2D position to an object observed from a moving platform of known position. Cameras are available with azimuth and 3D orientation sensors (aka smartphones). Successive bearings on a fixed object taken from a moving object will cross at a point on the map = position. I appreciate that high resolution is desirable but that can be achieved by proximity. Good point Matthew. The reason why it is difficult it’s because we are dealing with a drone as a platform, and not with an airplane or a satellite. Bigger platforms can perfectly carry on an IMU, an instrument that is going to measure every little tilting you have on the camera. However drones are another story, you are right, drones carry similar system to the ones in the smartphones, but of course the precision of these instruments is not that good. 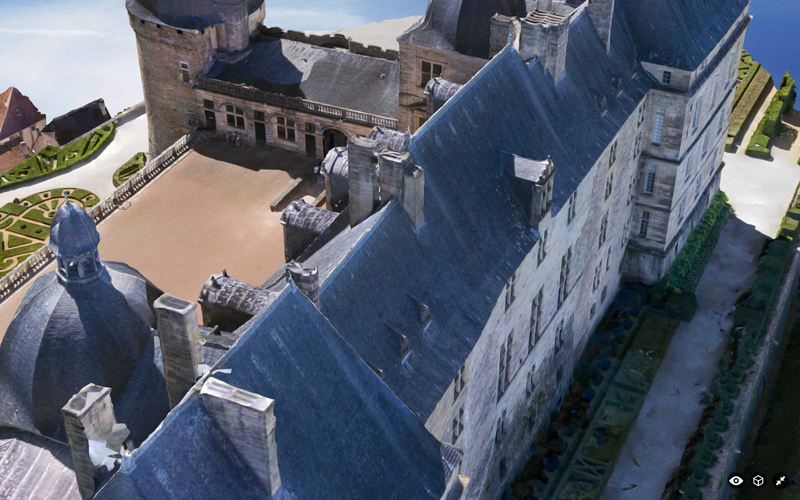 In real life is not ucommon to see people location points on 2D maps from oblique drone images. 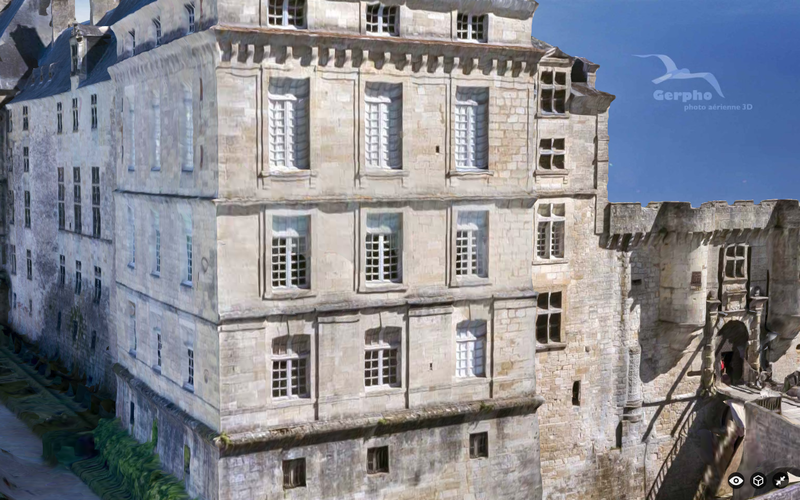 But for this kind of processing you need to proceed with an orthorectification for which you need to have a good Digital Elevation Model (DEM). 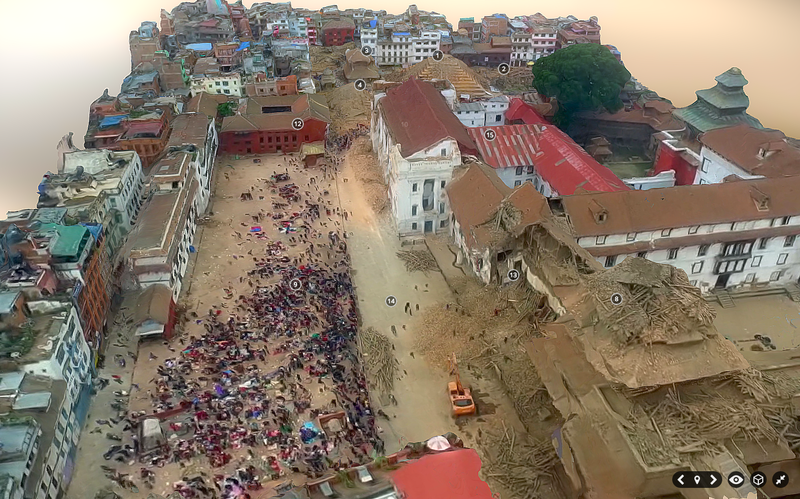 In a scenario such as Nepal this kind of information sometimes is missing or is not accurate enough, that’s why this keep representing a challenge, specially for drone imagery. Thanks for chiming in, Jorge. Saw a presentation on Google Project Tango this morning, sub-5cm accuracy re positioning and and sub-1 degree accuracy re tilt. While Tango is being developed for indoor positioning, made me think of potential applications for UAVs. 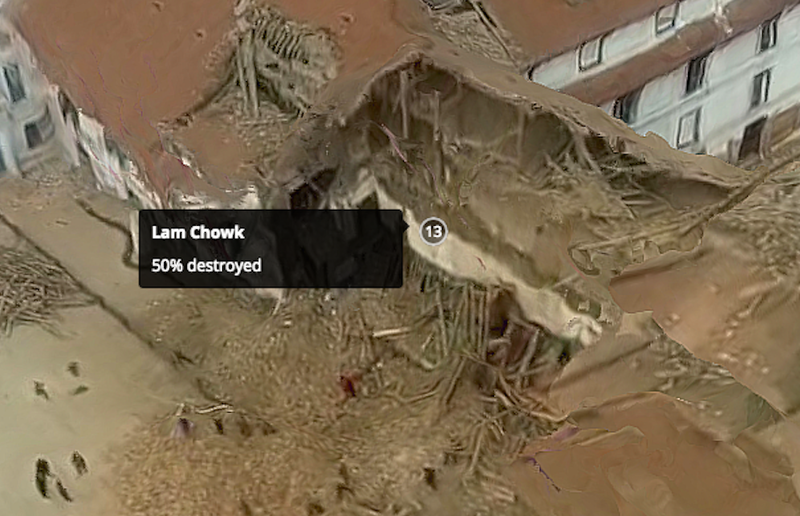 Hi Jorge, There are other approaches to generate the required imagery based 3D model and get a useful geometric solution that can be used to measure changes as a result of subsequent reconstruction activities or in the case of Nepal, aftershock damage. 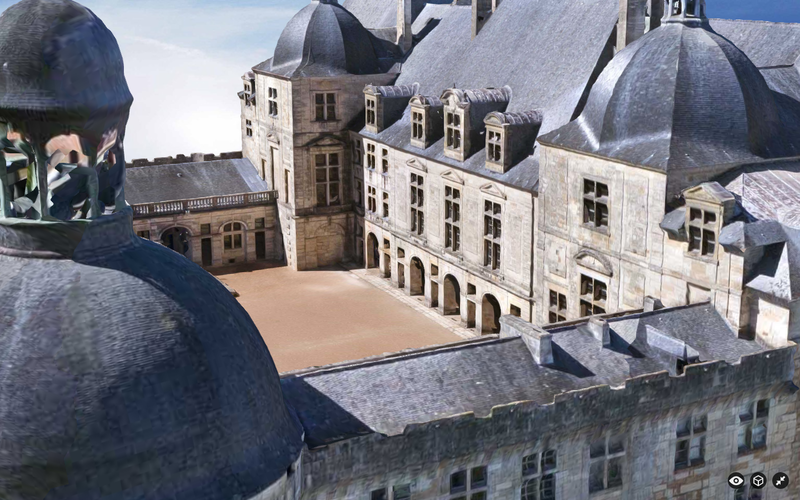 Take a look at Acute3D, http://www.acute3d.com . It has a lot that is being looked for in terms of output, and ease of use. 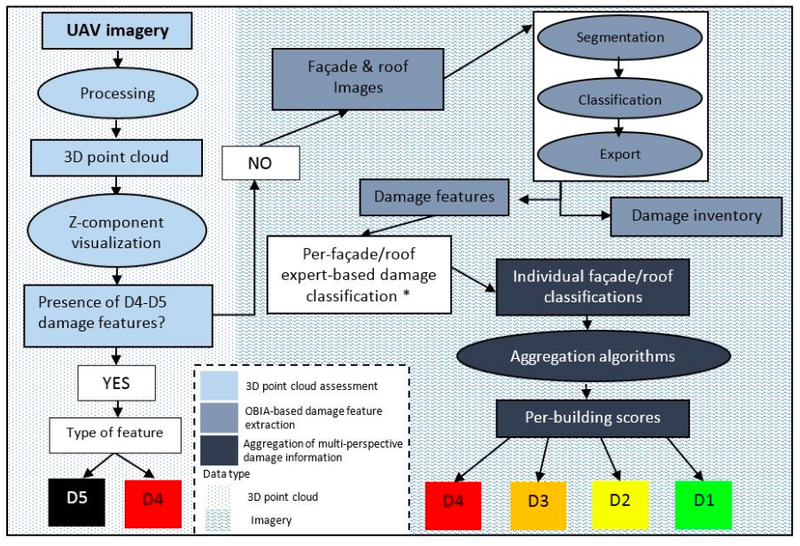 While the photographic requirements are fairly intensive in terms of image volumes, the resultant 3D model is very lightweight in comparison and can be used with other sources of spatial data. More importantly, then resultant information is very easy to interpret, which cannot be said for the lower density point cloud data. There is also the advantage of speed of processing and the relatively low resource requirement to produce high quality models beyond the image capture phase. Mapping with a Quadrotor Micro Aerial Vehicle” would seem to solve the problem of lag between capturing data, processing, and sharing. I’m not sure where they are with this research now, but it seems like it could be a solution to some of the problems you present in your blog post “Humanitarian UAV Missions in Nepal: Early Observations (Updated)”, especially where internet bandwidth is limited. 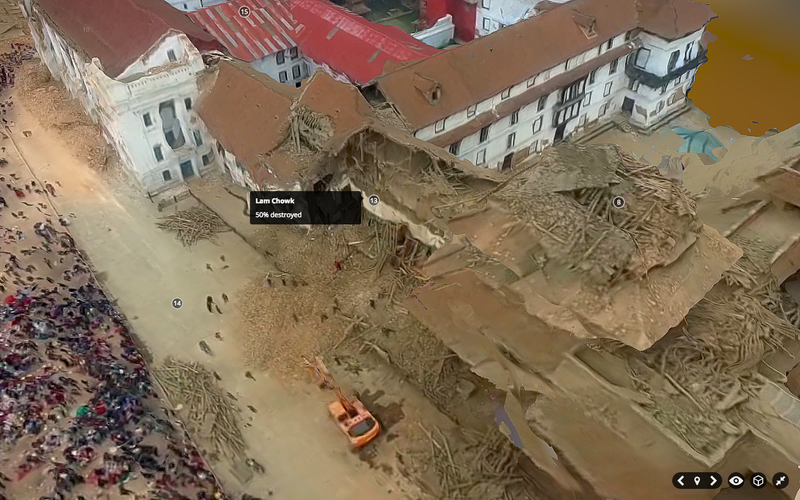 If 3D mapping could be done live on the spot, disseminating that information could be almost instantaneous. I’m interested in researching this some more, but if you haven’t already, it may be worth looking into. Super, many thanks for sharing, John, really appreciate it, will definitely look into this. Thanks again! I find your blog posts on this topic very interesting and exciting. I’m a PhD student working on automated disaster debris detection using only lidar (for the most part). One of the obvious downsides to this is the lack of spectral information. 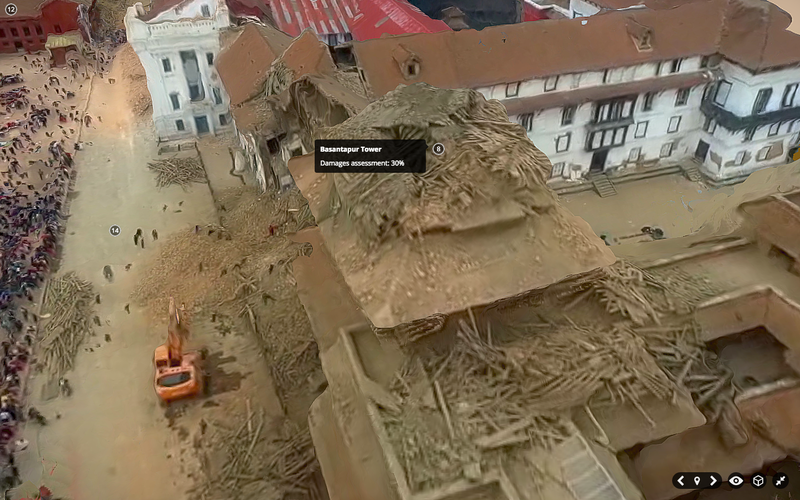 I’m curious what software was used to generate the 3D model of Durbar Square. I have access to a lot of post-disaster imagery as part of my work and would be interested in trying something similar. I’d be keen to learn more about your work, any links you might be able to share?